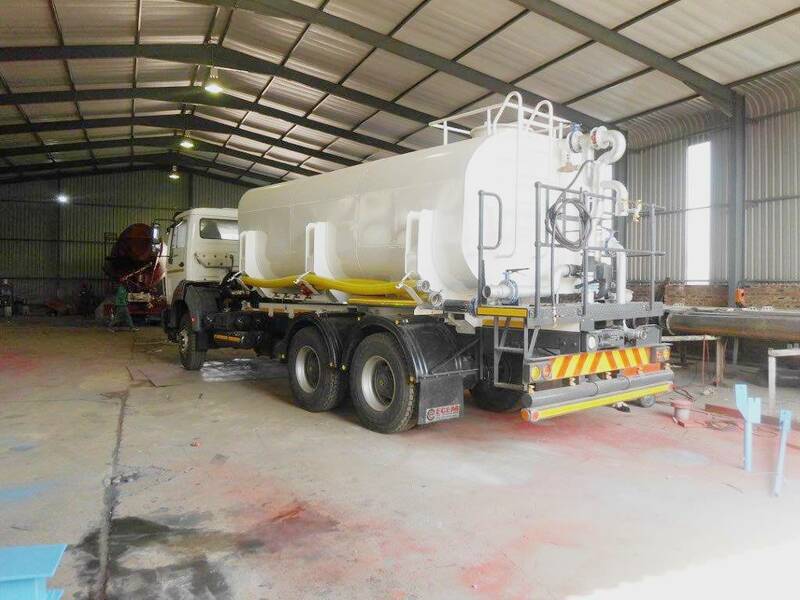 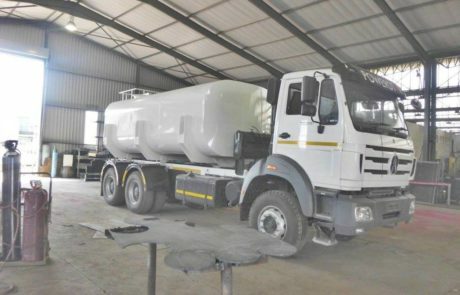 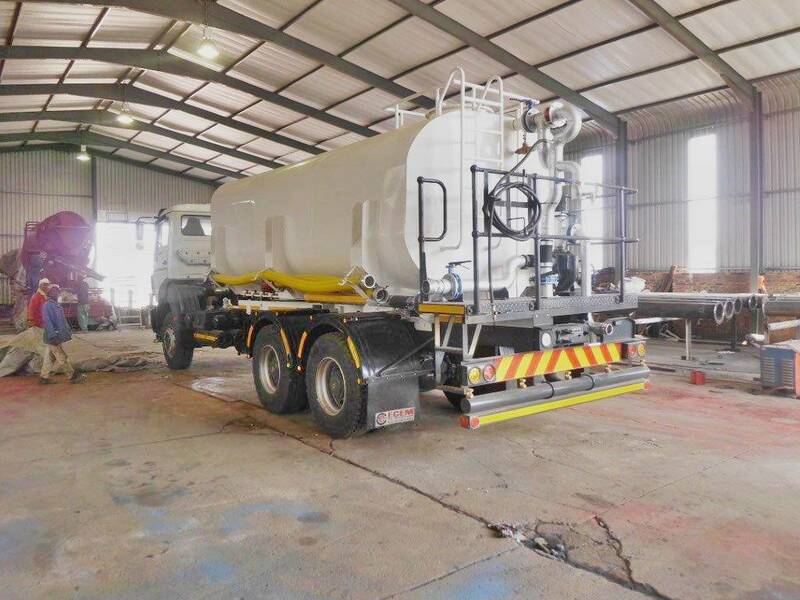 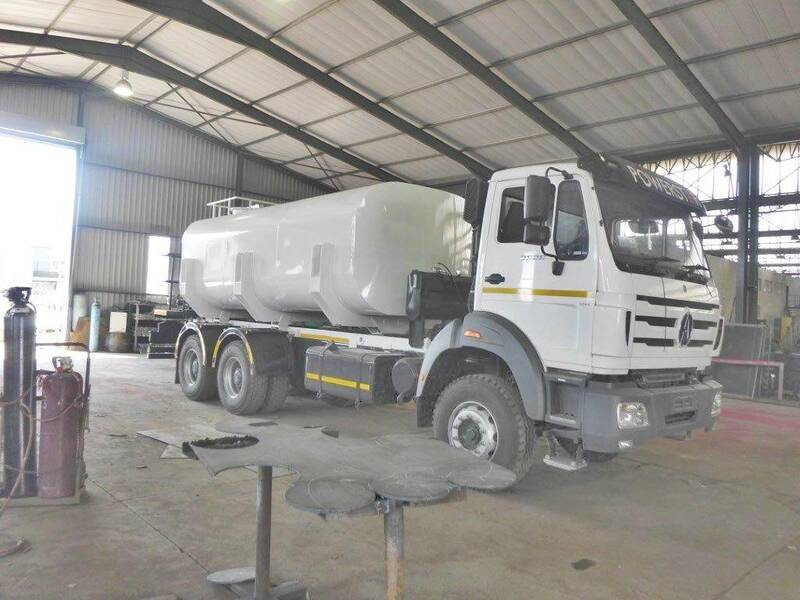 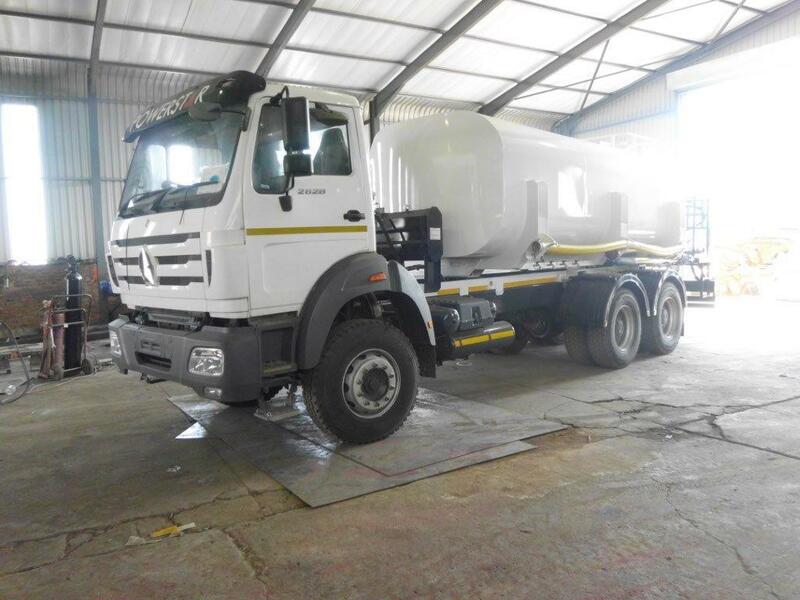 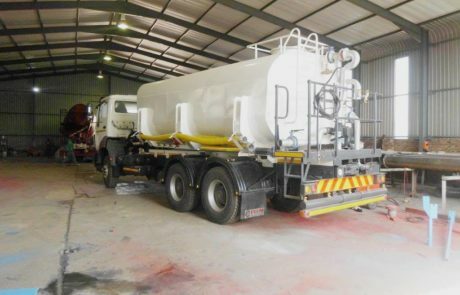 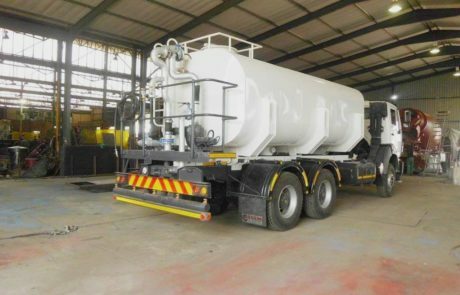 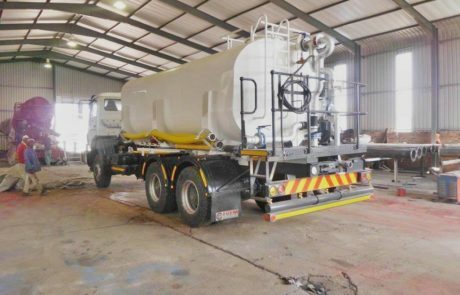 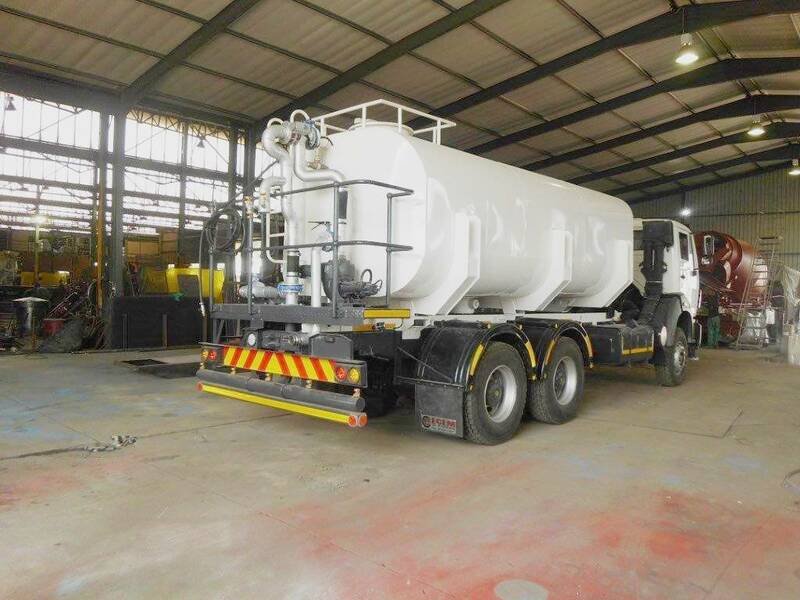 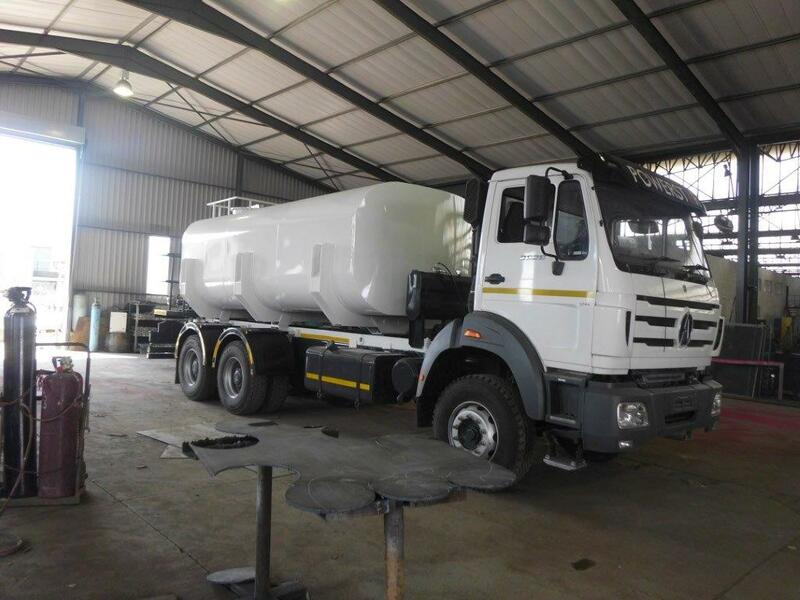 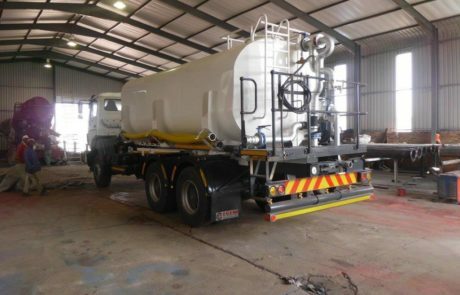 ECEM manufactures water tankers to your specifications and size, standard sizes being 12000L, 14000L and 16000L. 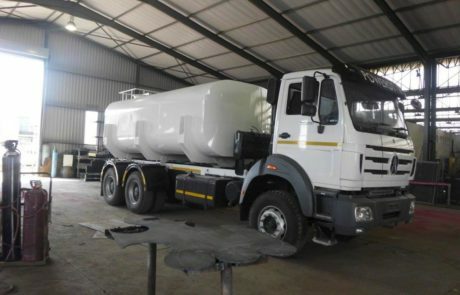 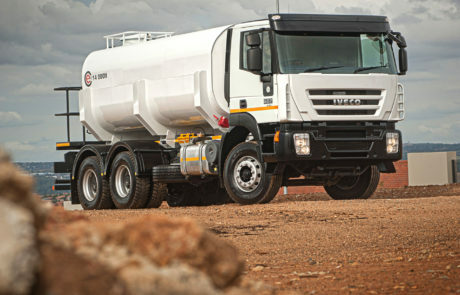 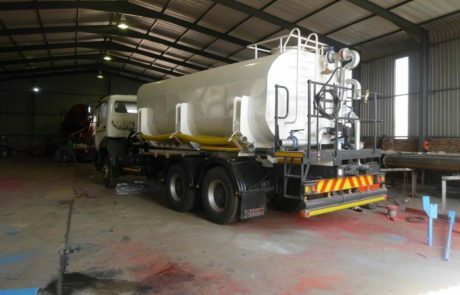 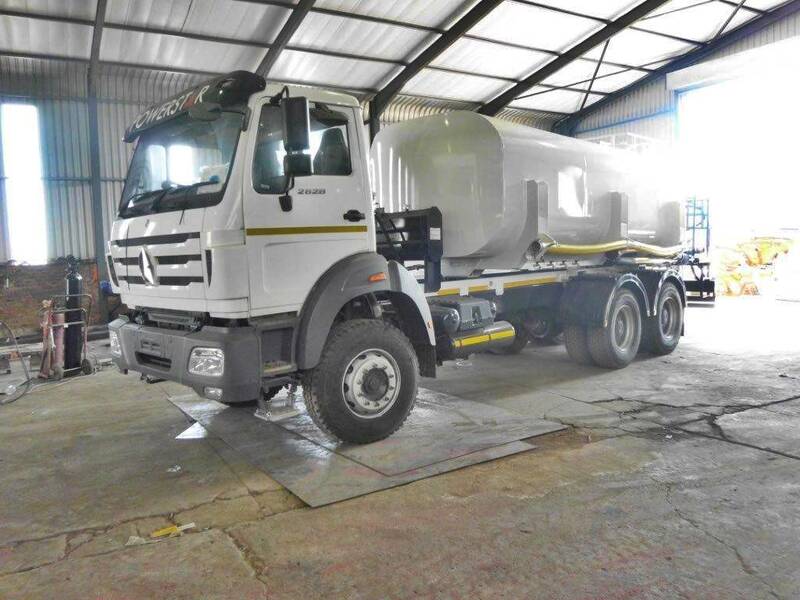 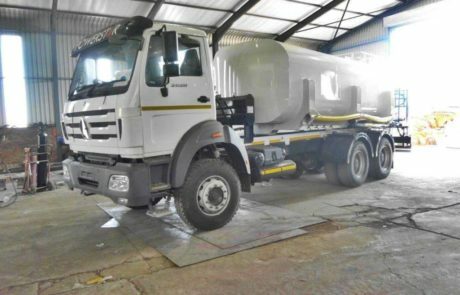 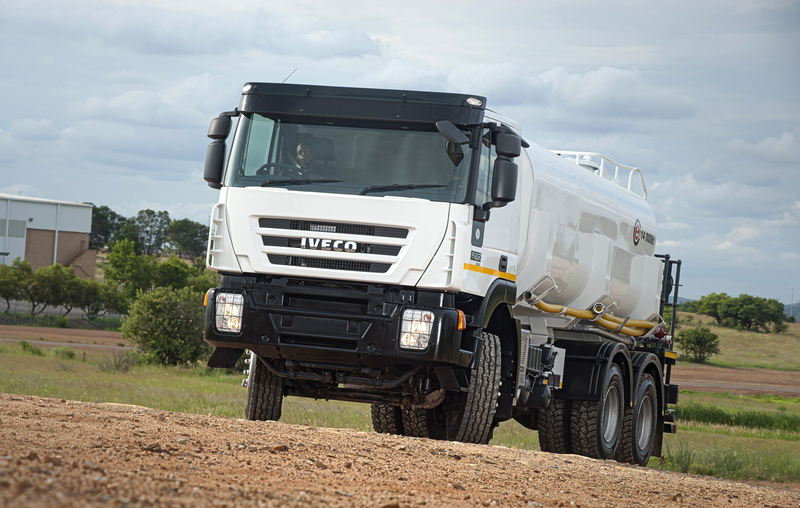 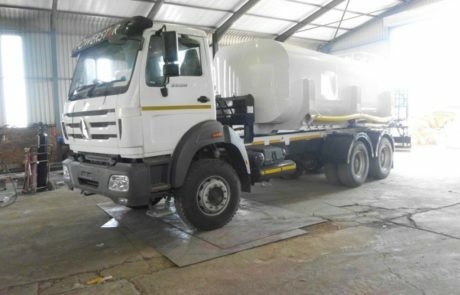 These water tankers can be fitted to a truck chassis of your choice as long as the engine has a Power Take Off (PTO) coupling. 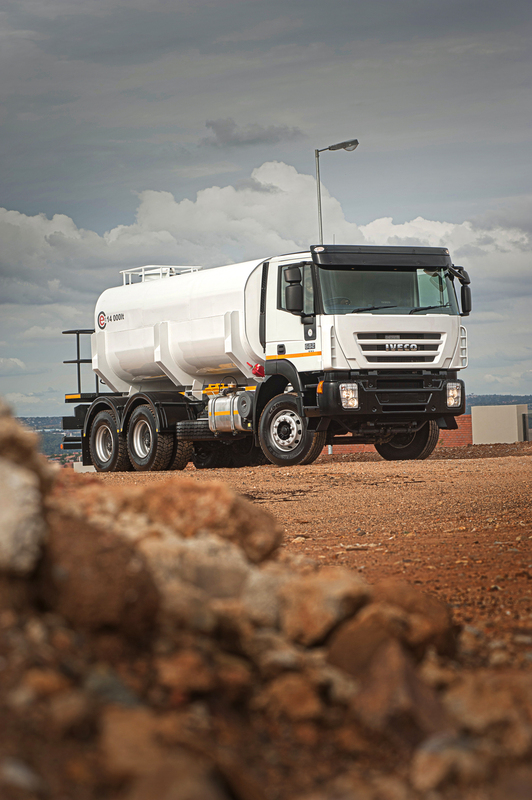 Mounted on a sub frame with cross members and a pivot point mount for maximum flexibility. Tanks are suitably baffled. 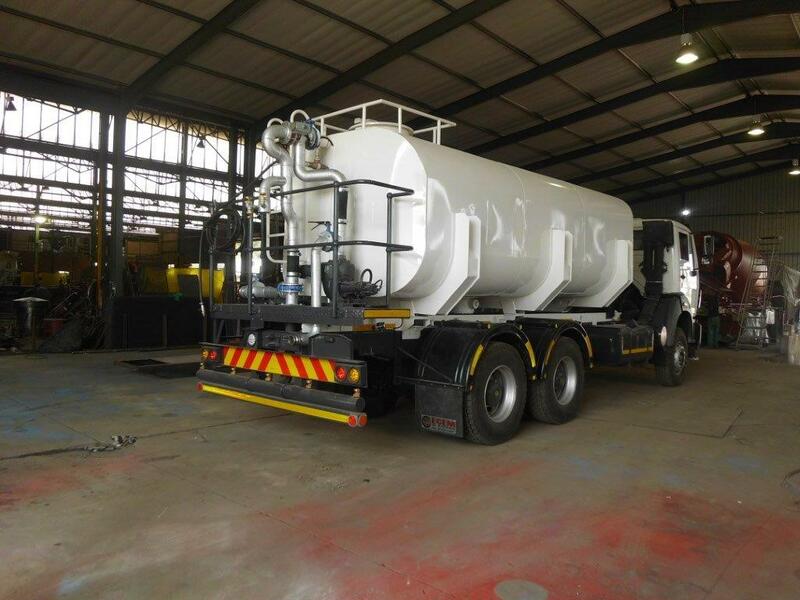 2 x Sets removable baffles. Catwalk to manhole and ladder to allow easy access. 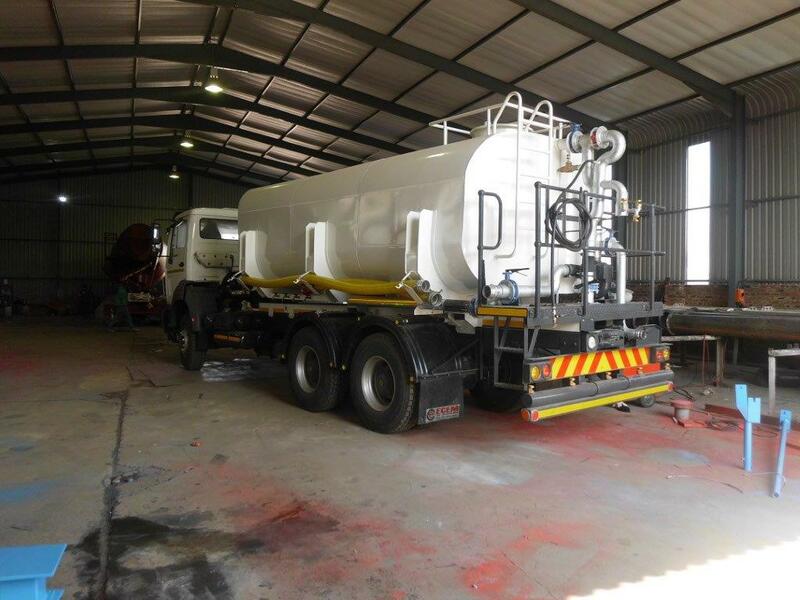 All outside surfaces thoroughly cleaned, primed and painted with two coats 2K enamel.